I’ve been tangled up in red tape recently. You see… non-US citizens need tax identity numbers too. But just reading the application form instructions has my fingers tangled in my hair. And then, there’s a fact that certifying copies of my documents isn’t technically as possible as you’d think. And there’s NO WAY I’m sending my passport to the IRS. Not because I don’t trust them, but that I don’t trust my country’s postage system. So yeah… I’m paying a substantial amount of money (more or less a month’s salary for me) to have a “Certified Acceptance Agent” do this for me. Looking at those forms again, I’m thinking it’s worth every cent. Worst is that once I have my TIN, I’ll only be using it to get exempted from US Tax. So…. All this effort just so that I don’t pay tax in the US. As supposed to 25% in South Africa. Sigh. Anyone else have issues with sorting out taxes on your royalties? Hi all! Welcome to another News Day. Sorry it’s so late. I needed time to find some links, and then yesterday was so busy, I didn’t get time to write a word. Still, rather than worrying, I’m putting up what I have. If you would like for me to add something to the list, just let me know in the comments (with the link) or mail me at mishagericke(AT)gmail(DOT)com (in particular if you want me to put the link up next week). David Farland‘s son, Ben Wolverton was in a terrible accident. Treatments are running at over $1,000,000 already and the family has no medical aid. A group of writers are holding a donation bomb on 7 June, so please help out if it’s at all in your ability to do it. Go here for the full story and updates. NA Alley is hosting the Editor in the Alley Pitch Contest, so if you have a NA book begging to be sold, go check it out. DL Hammons is hosting the WIP IT GOOD Blogfest on 31 May. It’s an excellent opportunity if you’re looking for CPs. Lisa Regan is hosting the Aberration Blogfest to celebrate the release of her new book. It’s going down on June 6 and all you have to do is blog about five characters you love to hate the most. Tara Tyler and Heather M. Gardner are hosting The Thrill of it All Blogfest on June 24. All you have to do is share your biggest thrill. Prizes to be won. Sadly, that’s all I have for today. I’ll definitely try to be a bit better about finding some links for the coming week. So… any links catch your eye? As I mentioned yesterday, I received my editor’s suggestions on the same day I traveled home from Europe. There’s something really wonderful about having an editor who understands what I wrote. She immediately caught on with what I want to do with the story, so her suggestions are amazing. Well… By amazing, I mean my reaction is something like this: *head desk* Why didn’t I think of that? There’s one thing I picked out of her editor’s letter that I thought I’d share. It’s relevant to anyone who writes something epic and complex. When we write stories like that, we have to deal with multiple story-lines. That’s great, because more than one story-line keeps things interesting. On the other hand, more than one story-line can dilute the tension. Especially when you’re going to leave them open-ended for the purposes of a sequel. How does one combat this? Pretty much by making the plot-lines just long enough. In other words. The big problem with multiple plot-lines are that we don’t give enough attention to enough of them. Which means that the reader doesn’t get a chance to connect to that particular line enough to care. What happens if something goes wrong in the sub-story? Does it matter at all? Why? The reader needs to know. Same as with the main story. I’m not saying you need to take every line through the three-act-structure. All you need to do is pick more important ones, i.e. ones that will be important in the immediate sequel, then extend them a bit. Just enough so that the reader gets a feel for the goal, conflict and stakes. Because that’s what they’ll care about when then they want to read the next book. And then make sure you have some awesome main story-lines. How do you approach stories with more than one plot? P.S. In case you’re wondering what happened to News Day, I moved it to tomorrow so I could get some news in. If you have something you think I should share, please e-mail me at mishagericke(AT)gmail(DOT)com. I’m back from Europe, but I’m a bit busy at the moment, catching up in the office. So. I’ll be doing a better post tomorrow. In the mean time, please don’t forget to think about volunteering a prize for the Paying Forward Awards. 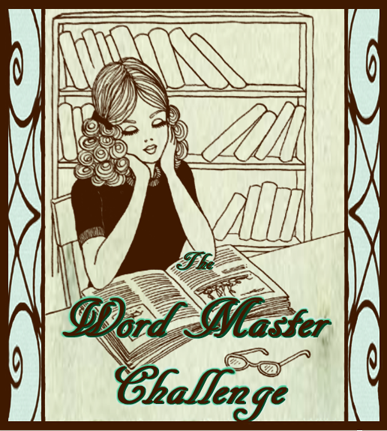 Also, please go check out the Word Master Challenge. Really hoping some of you will enter. But I want to reiterate. PLEASE don’t enter your link to anything but your Word Master Challenge entry. Any links leading anywhere else will be removed. Okay. That’s it from me for now. Now it’s back to the office with me. And after that, more editing, most likely. But more on that tomorrow. Hi all! As promised, I have a fresh challenge for those of you who are up to writing something new. I’ll be doing a bit of final packing for my trip to Europe, so I’m going to get right to it. Take your favorite famous book. Write a scene from it. In a totally different genre. Bonus points if the reader can guess the original book without you telling us. More points if you can do the scene without it strictly being from the book itself, but we get the same sense from it. Word Count: No more than 300 words. Prizes: $10 Amazon Voucher or a 10 chapter critique by me or a query critique by me. PLEASE NOTE!!! Don’t enter your link until you’ve written your entry. I want to be linked directly to your Word Master Challenge Post. NOT to your blog’s home page. Also, please make it clear that the entry is in fact for the Challenge. I don’t want to wonder about this later. Easiest way to do this is to copy/paste the badge above. Or to start the post’s title with “Word Master Challenge“. http://www.simply-linked.com/listwidget.aspx?l=3a8a8bb1-f2bd-4300-a535-f05092ccb724 That’s it from me. What do you think of the Challenge’s theme? See you in about ten days! Today’s one of those days where I’m just pretty much feeling mindless. I wanted to go watch Iron Man III, but didn’t get the chance. Now I have it, but I just can’t be bothered to go out. Or I’m waiting for my editor’s report on my book, so I should be writing, but I just don’t feel like it. Except I don’t feel like reading anymore either. Time to go veg out then, I guess. 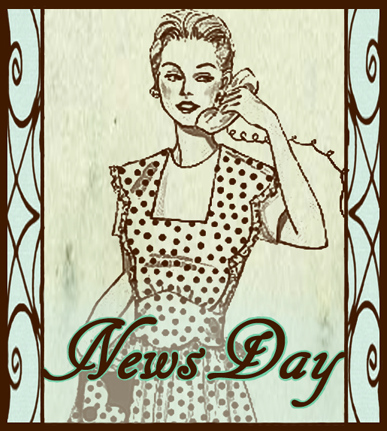 News Day: Calling All Paying Forward Sponsors! Hi all! Finally, I’m back to posting News Days again. For those of you who are new to this, News Day consists of all the bits about my blogs and others’ that I think you might want to know about and read. But I can’t get to all the blogs out there, so if you know about something and want me to spread the word, please send me a mail at mishagericke(AT)gmail(DOT)com with “News” as the subject. The Paying Forward Awards are basically a way for the blogging community to make some of its members’ day. We do this by recognizing and rewarding excellence. But I can’t do this alone. I need your help. If you have anything that you think will make someone’s day that you feel you can give as a prize, please become a sponsor. When I say anything, I mean anything. From query crits to care packages to vouchers to beta reads to e-copies of books and everything in between. Nothing will be turned away and nothing will go wasted. Also, I’m willing to reciprocate by hosting guest posts and/or interviews to promote your book or blog etc. If you are interested in taking part, please contact me at mishagericke(AT)gmail(DOT)com with “Paying Forward” as the subject. Please note: I can only take gifts offered by e-mail, as I can’t always reach everyone through the comments. I will be announcing the theme to the Challenge on Monday 13 May. For those of you who are new, I host a writing competition (supposedly every month, but mainly when I have time to judge it). I keep the word counts short, but the subject might turn out to be fiendishly tricky. The month’s Word Master gets the title along with a prize. So put on some creative thinking caps, people. From 11-17 May, Annie Walls, Little Gothic Horrors and Wicked Way Productions are hosting May Monster Madness. One for all the monster lovers out there. Alex J. Cavanaugh, Livia Peterson, Stephen Tremp and Al Diaz are hosting the Best and Worst Movie Remakes Blogfest on May 17th. Name says it all. Dani of Entertaining Interests is hosting the Heroes and Villains Blogfest on June 6th. Pick a side you like. Always on the Hero’s side or do you sometimes find yourself rooting for the baddie? SUSY Asylum, Michael Pierce’s sequel to Provex City is out now. Go check out the awesome covers. Useful writing tips on what to do with repetition. A bit of a harsh view of traditional publishing. Still, worth thinking about. And, to end today’s post on a high, a lovely thought on life and how to live it. That’s it from me for today! Think I’m missing anything for today’s News? Send me the link and I’ll put it up. Have a great day!